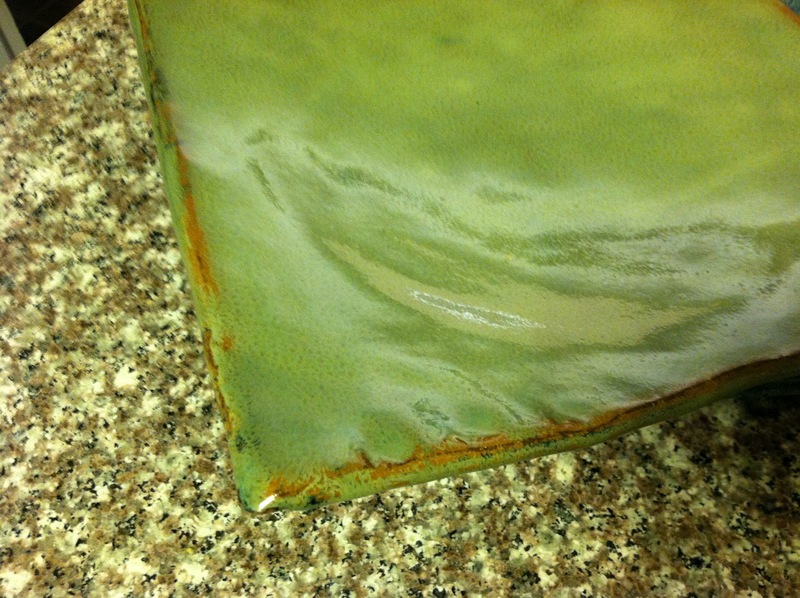 grass stains: Earthborn Pottery: An inspiration! Last week I was invited to do something really exciting ... Rachel from Grasping for Objectivity graciously included me in a get-together with other local bloggers at her aunt's pottery studio, Earthborn. 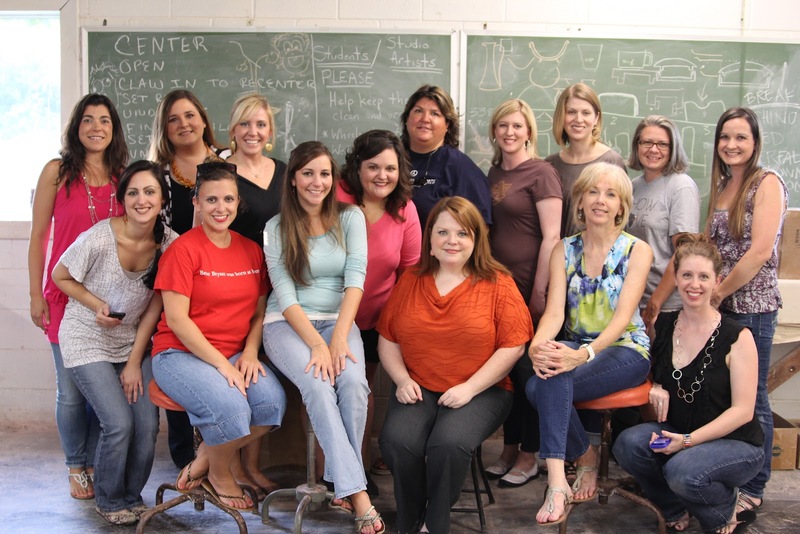 Kim from Live from the 205, Beth from Unskinny Boppy, Stephanie from Plain Chicken, Laura Kate from Magic City Made, Lora Lynn from Vitafamiliae, Amy from Ordinarily Extraordinary, Brandi from Bryants of Birmingham, and Maree, Krista, and Alicia from KC Projects. 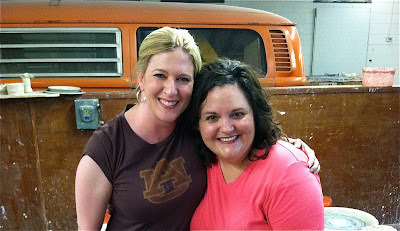 One reason I was so excited to go is that -- besides getting to try pottery and seeing friends I already know -- I got to meet Stephanie for the first time! We have been Tweeting and commenting on each other's blogs for I-don't-know-how-long. A LONG time. She's one of those people I feel like I have known forever, but had never met in person. So that was a huge treat! OH P.S. There was no air conditioning in the studio. In August. So, you know, that partially explains my appearance. P.P.S. These are all phone pics. Triple-sorry for that. We began the evening with a tutorial from studio owner Tena and her assistant, Nabeel. And it's POSSIBLE that all of us bloggers were so intent on taking pictures and composing Tweets that we didn't pay QUITE as much attention as we could have during the tutorial session. Far too quickly, they turned us loose on these lumps of clay. Keep in mind, I haven't thrown clay on a wheel since summer camp in maybe, sixth grade? Looooooong time ago. But I was really pleased with how my piece turned out! After we finished our hand-formed piece and our wheel piece, we took a tour of the rest of the studio, including the shop and the area where Tena sells "seconds," or imperfect pieces, at a discount. JACKPOT! Even her imperfect pieces are beautiful, and it was hard not to buy one of everything! I had such a great time with all these bloggers! And NOW, the best part! 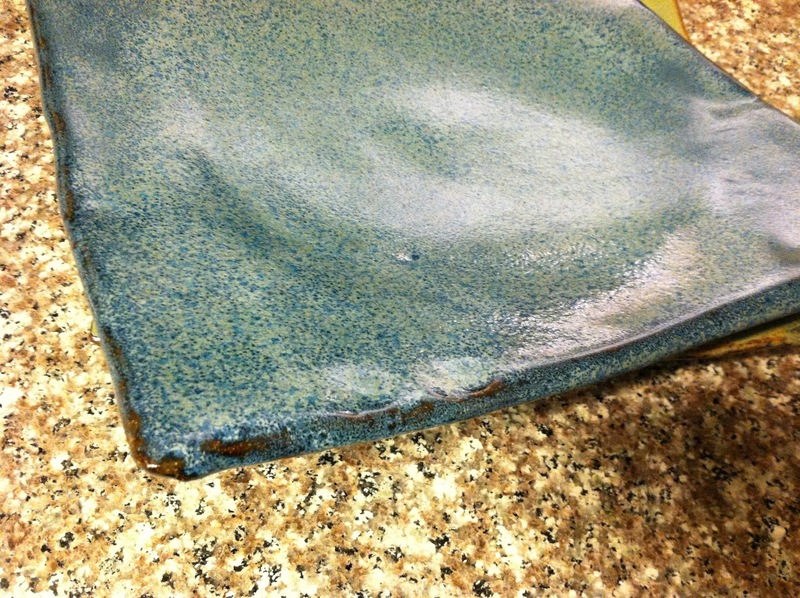 Tena was kind enough to send me home with a beautiful handmade plate for one of you! I chose these two colors because both of them go with my new kitchen design, so I will be happy to get to keep either one ... if you win, you can choose which one you'd like! The blue one is a vivid peacock blue with distressed edges. 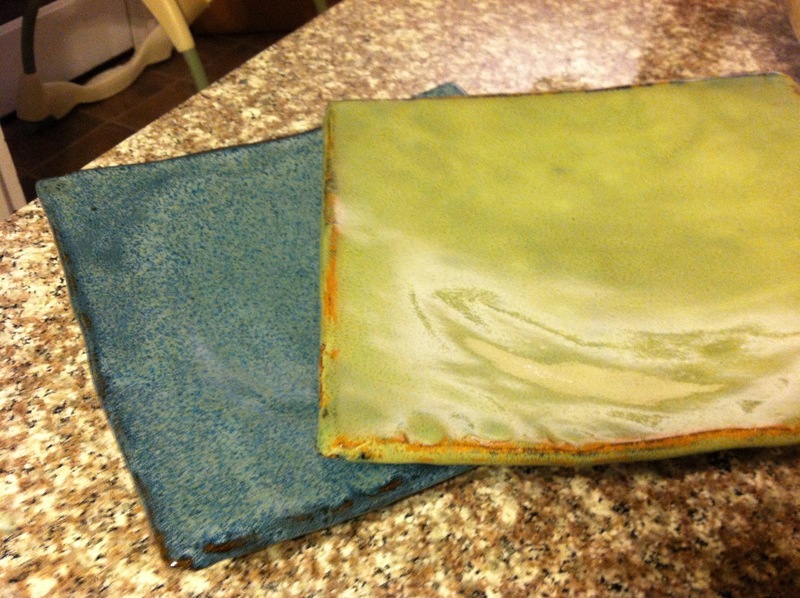 The green one is a beautiful apple green with distressed edges. 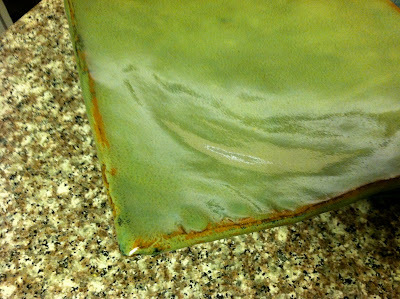 All you need to do is leave a comment on this post telling me whether you've ever tried making a piece of pottery before -- even if it was at Summer Camp in third grade. I'll leave the Comments open until Thursday night, and then I'll choose a winner at random. NOTE: You do NOT need to be local to win. I will ship to you! Their front showroom is open Monday through Friday, 9 a.m. to 4 p.m. They offer Girls' Nights Out at a cost of $35 per person (minimum six in a group). They last from 6 to 8 p.m. and are really similar to what we did last week ... including having instructors on hand to help. Similar to other hands-on art experiences (such as Sips 'N' Strokes), you're welcome to bring snacks and drinks to enjoy while you "work." Cahaba Clayworks Classes meet weekly from 6 to 8 p.m. for six weeks. During that six-week timeframe, you have free use of the wheels and materials to practice anytime they're open. The cost is usually $150 + $15 for materials, but Tena is waiving the materials fee if you mention my blog when booking your classes. Cahaba Clayworks is on Facebook. Earthborn Studio is on Facebook, Twitter, and has a website with online ordering. DISCLOSURE: I was invited to this event and didn't pay anything to attend. I received one piece of pottery to keep and one to give away. I had a great time and would do it all again in a heartbeat. I did this back in elementary school, my favorite part of art class. My oldest son got a kid's pottery wheel for Christmas last year but it didn't work out so well, it was a mess!!! Both of Larry's Aunts are art teachers and have wheels in their homes. They live in Ohio, so I've only had the chance to work with them a few times. Hmmm I think I did back in camp in 4th grade! It was fun!! I did this in my mind the first time I saw Ghost. Does that count? I made some pottery in highschool. Doug has two pieces he still uses to this day. He made them at McCallie. It's so fun to create art with your hands!